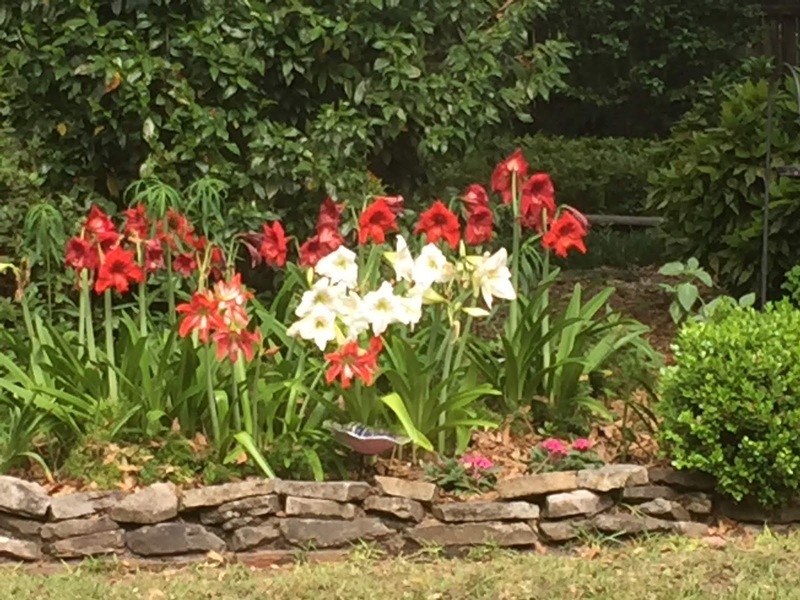 We had a glorious spring beginning in mid March with azaleas, bridal wreath, daffodils, iris, and amaryllis blooming. We actually had a winter this year with sustained days of cold weather and it made a huge difference in everyone's shrubs and flowers. All the flowers were more prolific and the colors more vibrant. I can remember winters that we didn't need to wear coats but this year we were pulling out heavy coats and sweaters we had not worn in years. 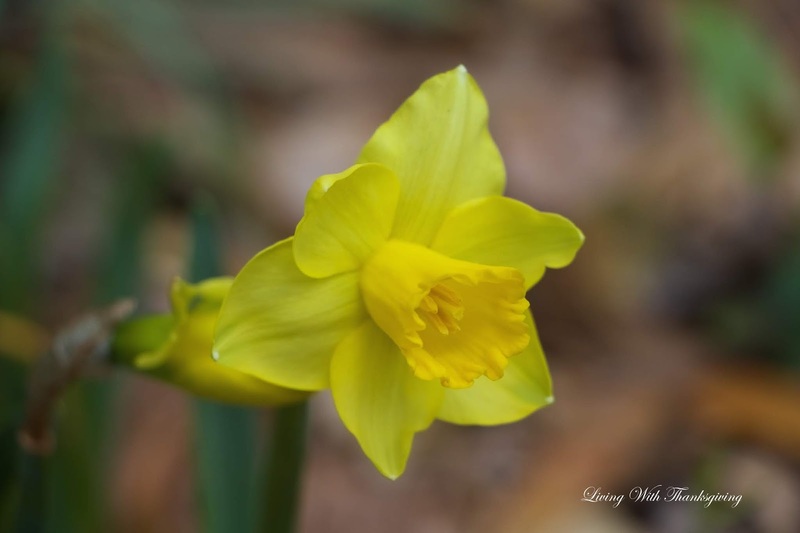 Daffodils are one of the first spring bulbs to grace us with their beauty. I always am excited when I see them coming up knowing that spring will soon be here. 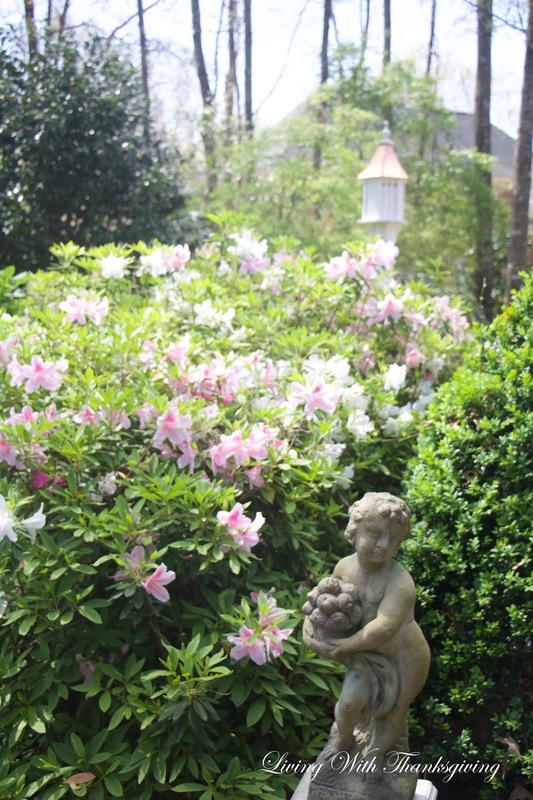 George Tabor pink and Mrs. G.G.Gerbing white azaleas have the most pleasant fragrance and this year they were especially pretty all over town. This picture was made as the sun was coming up early one spring morning. I actually remember it was on my birthday, March 22nd. All along my driveway I have a variety of azalea colors. I finally had a few iris to bloom this year and hoping more will bloom next year. They have been moved several times in hopes they would do better in other spots. My amaryllis are multiplying and I am so happy about that. This was an early morning shot with the morning sun glistening through the trees. Bridal wreath bloomed right on time in March. 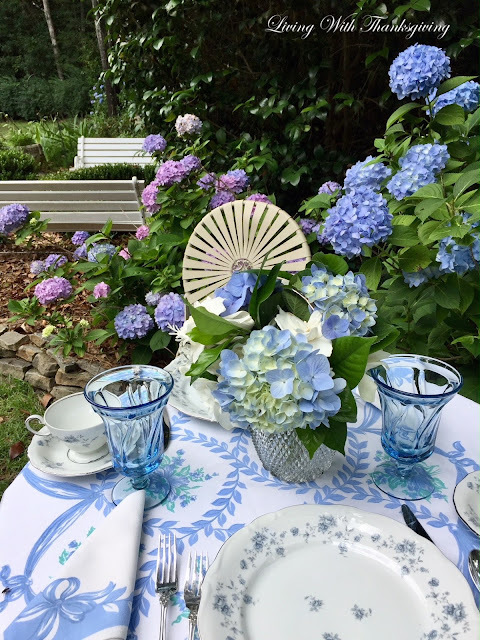 I set a tea table in front of the bridal wreath which can be viewed here. I was pleased the salvia came back after a cold winter. It's on my list to plant more. My clemantis is so faithful and always delights. I love perennials that come up year after year right on time. I lost my white clemantis and want to replace it. In south Alabama we consider summer in full swing on Memorial Day in late May. So now you will be seeing my summer flowers that started blooming in May. Several of my hydrangeas are very large. This one was larger than my dinner plate. We have had quite a lot of rain and hydrangeas love water. Last week one of my friends asked if she could bring several friends and walk through my garden. I couldn't resist setting up a tablescape among the hydranges. I was itching to use the tablecloth again that Rita@Panoply gave me with my hydrangeas in mind. You can see the post about Rita's gift here. I also opened up a box of dishes that had been stored for 35 years. These Blue Garland Johann Haviland Bavarian plates were my mothers from the 1970's. I cut gardenias, some Nikko Blue hydrangeas and a few pieces of dusty miller for an arrangement. Did you know that dusty miller won't die back from the cold ( in our area at least) and I was glad to find out you can root it. 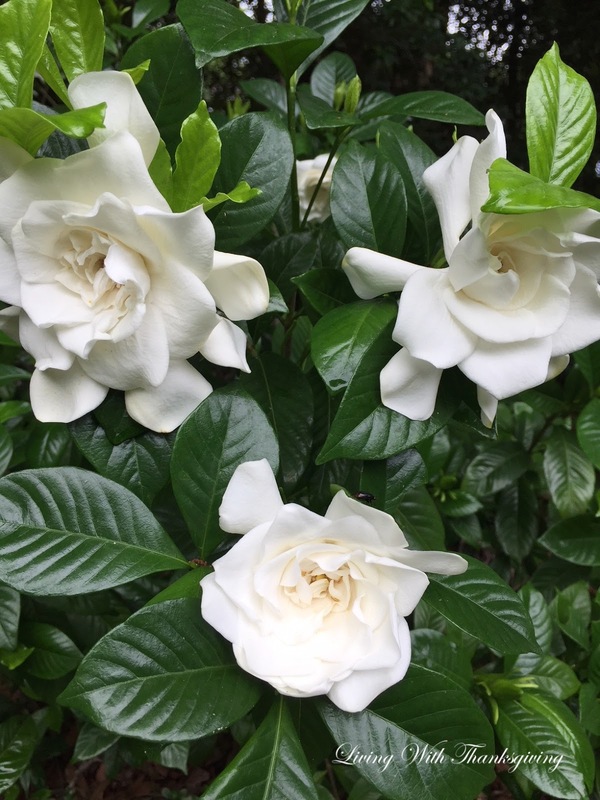 The gardenias pictured above I rooted from an old fashioned variety that has large blossoms. It rooted very easily in our sandy soil. I enjoyed sharing my spring and early summer garden with you today. Thanks for stopping by. I have been on a trip and have been sick so I have missed everyone for the last month. 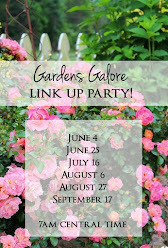 Today, Pam @Everyday Living is starting her Gardens Galore Link Up Party for another season. 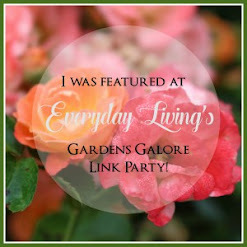 Be sure and stop by Pam @Everyday Living today and see all the garden posts. Bonnie, I was anticipating seeing your stunning gardens and they do not disappoint. 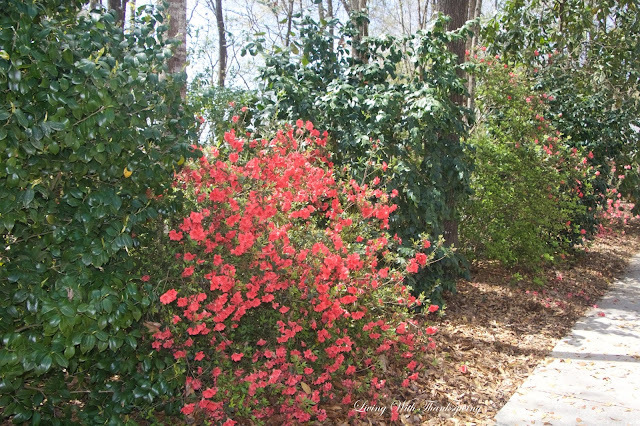 From early spring with Bridal Wreath, azaleas and daffodils to Hydrangeas and gardenias your park- like gardens have performed beautifully! How fun to have a garden tour for a few friends, I wish I could have been there. The table you set is perfectly lovely! 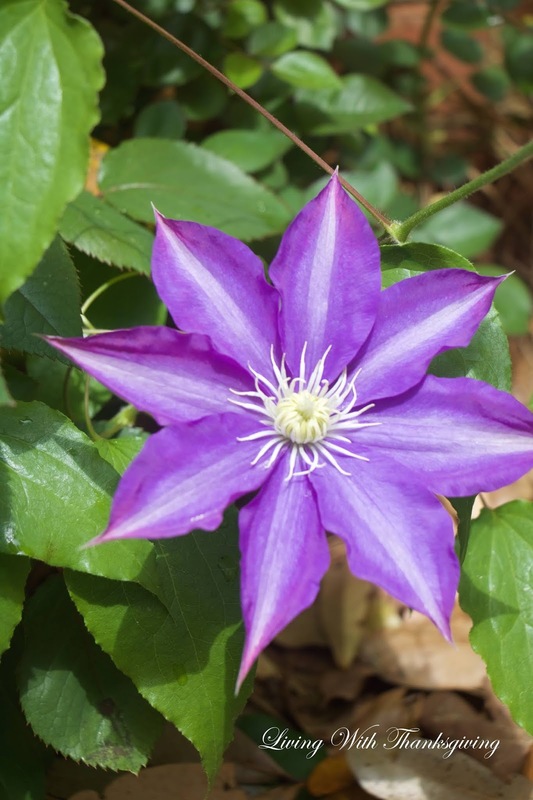 Thank you for joining Gardens Galore, happy Gardening! Your garden is so lovely. You have one of my favorite flowers, almaryllis. You must live in a warmer climate. I can't get hydrangeas to grow in my garden so I am green with envy at your beautiful flowers. Bonnie, I am at a loss for words to describe your garden. Glorious is what comes to my mind. 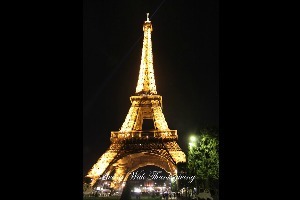 How wonderful it would be to sit and enjoy such beauty! 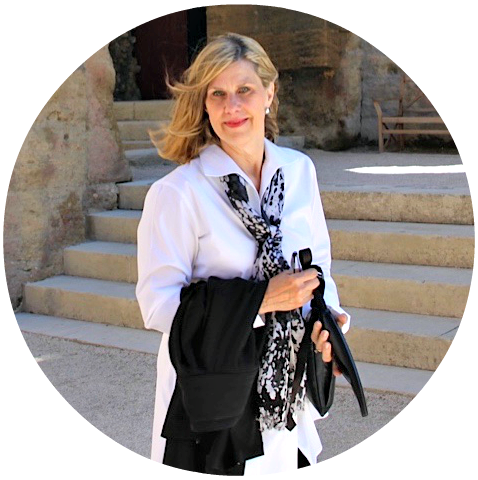 I hope your trip was wonderful and that you are feeling better. Have a most beautiful week! 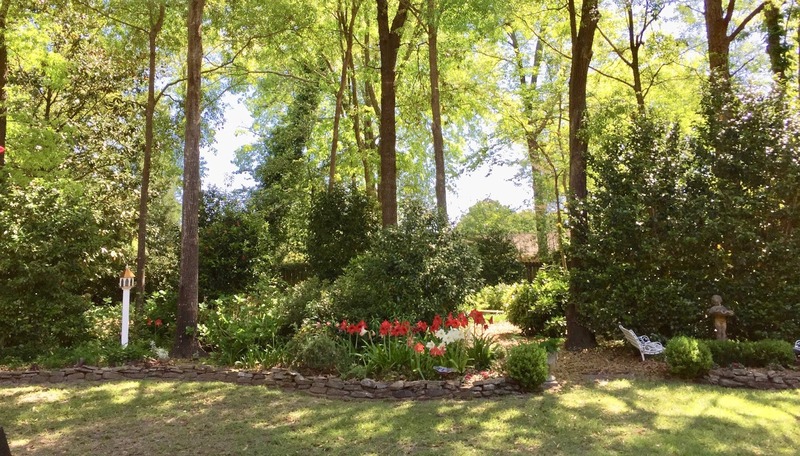 Bonnie, your gardens are always breathtaking! So many blooms, I love you have something blooming all the time. The table setting in the garden, just lovely. And, how special to use Rita's tablecloth. She knew exactly what to send to you. Thanks for your lovely garden tour. Have a a wonderful week. Bonnie, I can't wait for our yard to look the way yours does! It takes years and tender loving care. It's just amazing to see! Love your beautiful table set beside the blue hydrangeas. Your friend and her friends must have had a wonderful time in your garden. Bonnie, your gardens are absolutely gorgeous! They belong on a garden tour! Your hydrangeas and gardenias are breathtaking and what a pretty tablescape! I love that tablecloth! I am so sorry that you have been sick, and I hope that you are feeling better. 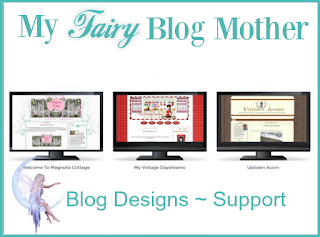 I have been in the same boat, and I hope to be back to blogging soon. Take care, and enjoy your week sweet friend!!! Bonnie, your garden looks fabulous! Blue hydrangeas are so pretty. Love the beautiful table you set. The tablecloth Rita sent you is gorgeous. I hope you are getting accustomed to being home again. Have a lovely week. Bonnie, your gardens are absolutely beautiful. I also loved the beautiful table you set. Hope you are feeling better. What a treat to visit your gardens this morning and what an extra treat to see them in person! I can just imagine the oohs and awws from your fortunate friends. 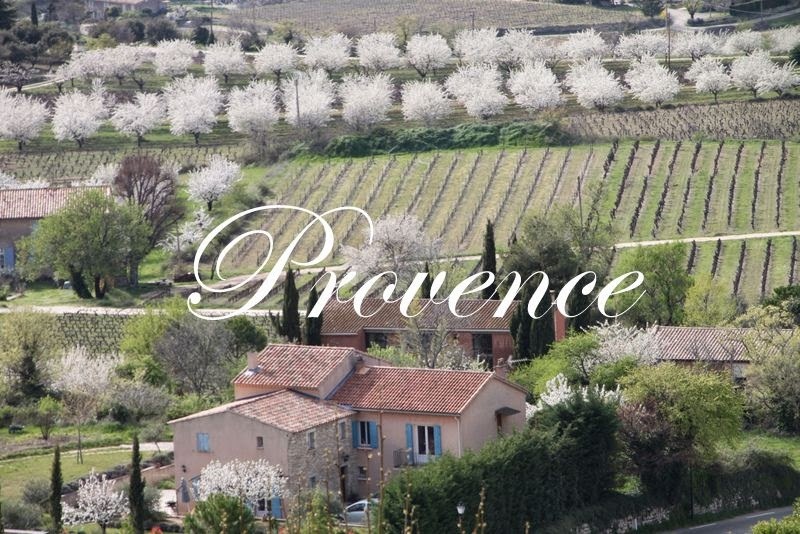 These gardens are as beautiful, tended to and manicured as a park. How blessed you are to live in an area where things flourish so beautifully under your loving care. Hope you feel better soon. GLORIOUS! Oh, those hydrangeas are fabulous and I love the tablescape. I'm behind in commenting on things (been traveling) but oh, I'll catch up! Hope by now you are feeling much improved! OH Bonnie it's all so beautiful! The table setting with the hydrangeas is gorgeous! 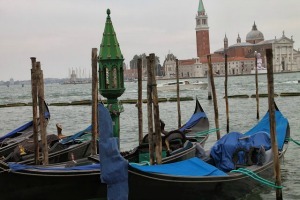 You must have been so flattered when asked to let friends tour, I'm sure they were ohhing and ahhing! You certainly have a green thumb! Just beautiful Bobbie. Loved your gardens and felt like I was on a walking tour. Your hydrangeas are to die for. Wondering how many years it took to achieve this look? Also we share the same birthday. Oh so pretty! Your lacecap hydrangea color is beautiful. Of course all your flowers are stunning as well! Bonnie, I love your garden posts best. 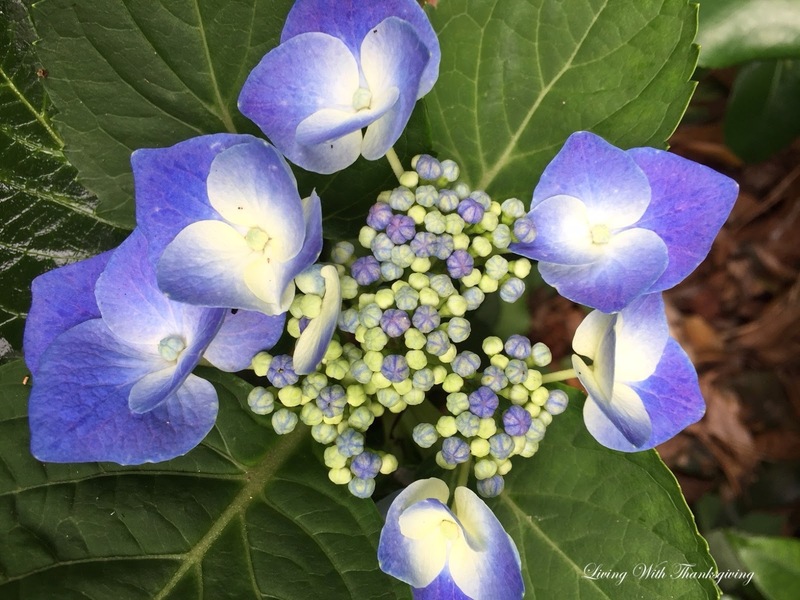 Your garden is stunning, and wow, isn't this the best year for hydrangeas!!! 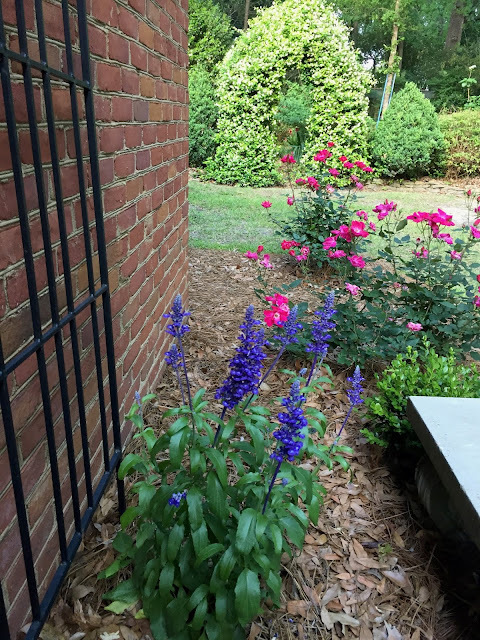 Bonnie, I'm glad you felt well enough to put this together so we could all enjoy the beauty of your gardens! 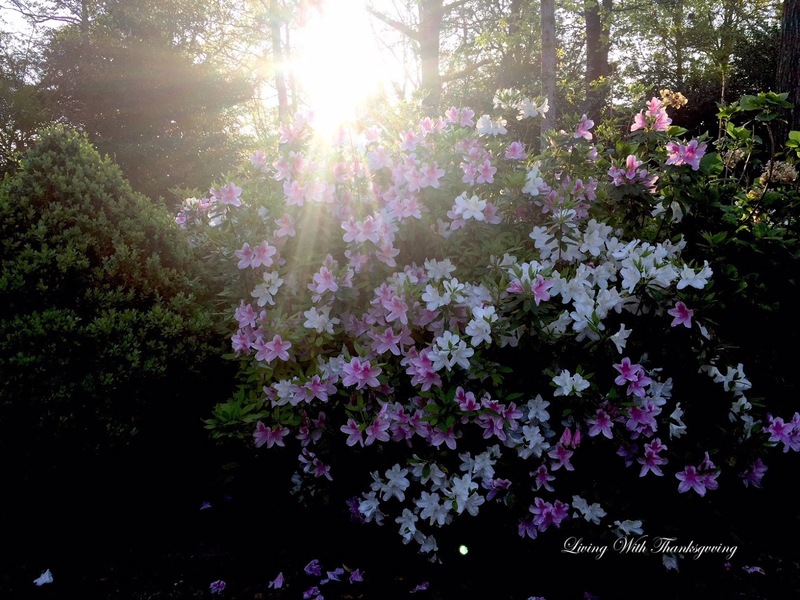 I agree with Mary - that photo of the sun rising through the azaleas is just breathtaking. 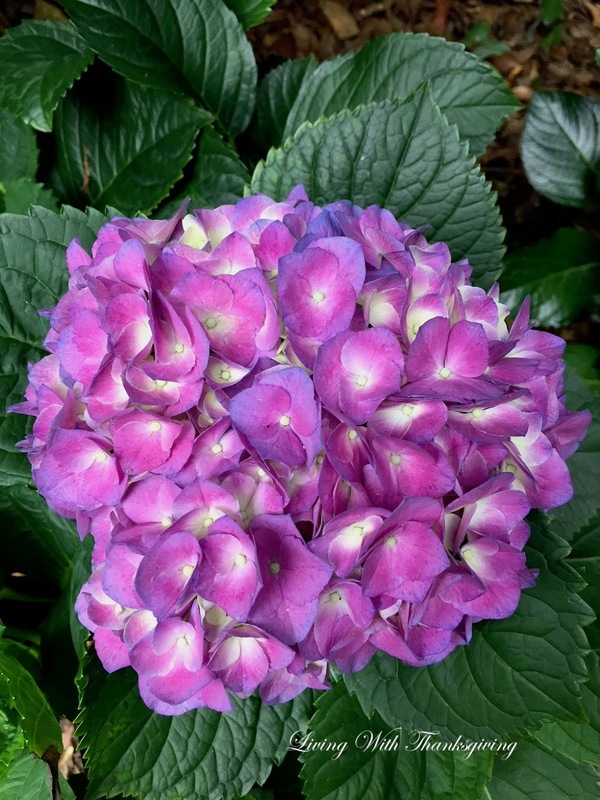 Your lacecap hydrangeas are gorgeous, as are the other varieties. 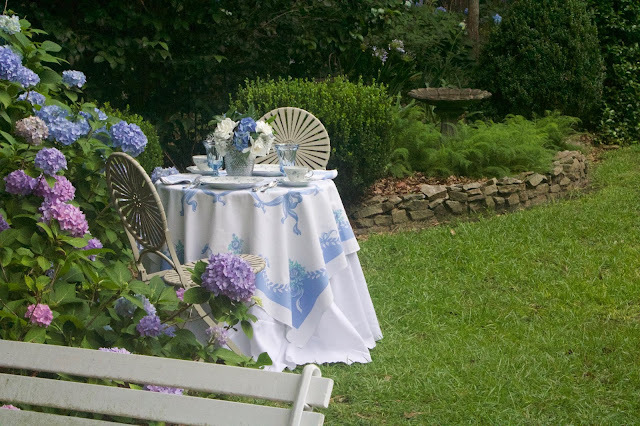 The Nikko blue, gardenias and Dusty Miller together with your tablescape are magazine worthy. I love your gardens, and know how much work they are, as we've shared with each other. Just so beautiful. Oh so many colors...I love it all. Thanks for sharing. Your garden is beautiful! 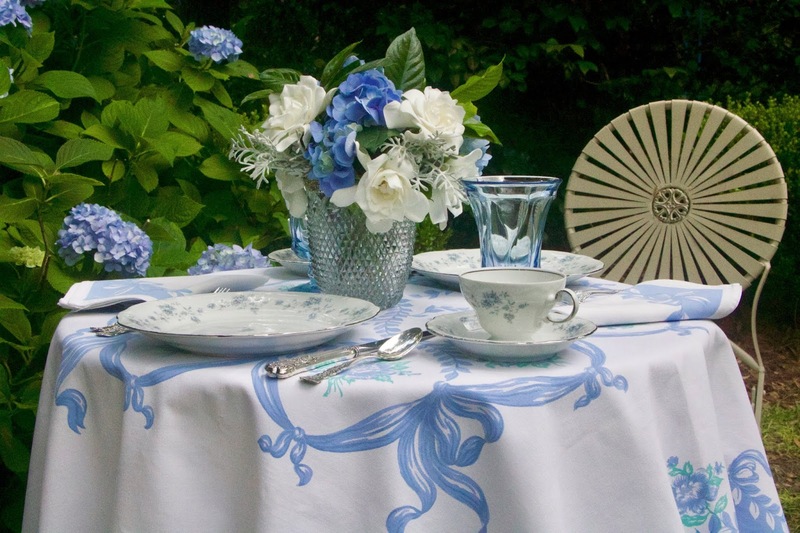 And what a gorgeous table setting near your hydrangeas. Simply perfection! Your garden pictures are like strolling through a beautiful setting, Bonnie! When the perennials blossom, it's like seeing old friends, isn't it? Your tables are stunning, and your dishes and tablecloths are so gorgeous. Thank you for sharing the beauty with us. Bonnie, your garden is breathtaking! Every single plant and flower is beautiful, what a stunning example of God's creation. Thank you allowing us to walk through your delightful garden with you. I was going to work in the attic this morning, but your post inspires me to get back out to the garden today. Bonnie - your gardens are lovely. Those Amaryllis are something else. I grow them inside in the winter, but having them out in the garden like you do would be awesome. I guess there are benefits to gardening in both our zones. Happy gardening! Your spring garden is breathtaking! I love your birthday photo! Those hydrangeas, oh my!!! A good winter does really help the garden. We had no winter to speak of this year and some of my plants suffered. I lost one Japanese Maple. Thanks for sharing with the Garden party. How adorable!Your garden is stunning!Hugs!